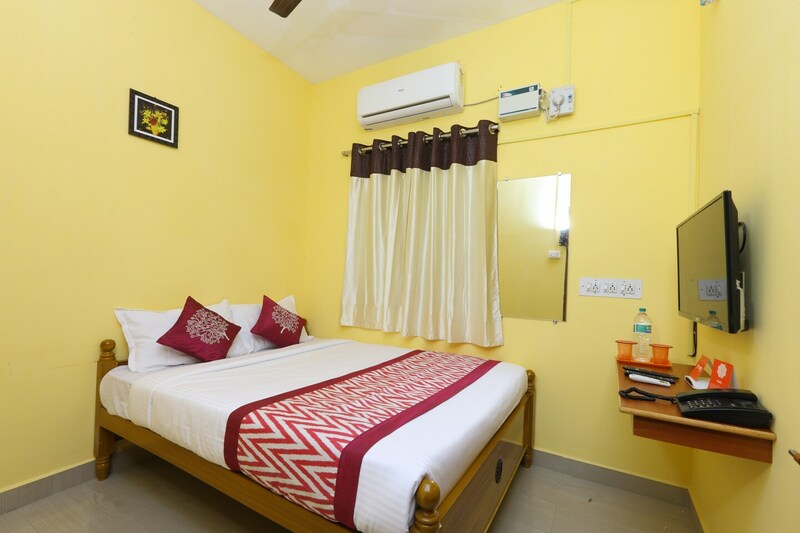 West Woof Residency is a very popular name among the travelers visiting Chennai and looking for comfortable accommodation options within a reasonable price range. All rooms are well-furnished and painted in warm colors such as yellow and orange. Paintings have also been used to adorn the walls and enhance the homely feeling of the room. The hotel also provides some additional facilities like CCTV cameras, free Wifi, parking provisions, an uninterrupted power backup supply, card payment in all forms and a common kitchen for all. There is a common dining area, too where the guests can enjoy some good food as well as some good company. The front desk service is located close to the entrance and is manned by experienced staff.